Roni Shye, PharmD BCGP BCACP, is a licensed pharmacist in the states of Florida, Ohio, and Pennsylvania. The majority of drugs your doctor prescribes for you will be self-administered, meaning you’ll fill your prescription at the pharmacy and take your medication yourself, at home. However, there are some drugs that are for health care provider administration only. For these medications, you’ll need to go in to your doctor’s office, clinic, or pharmacy to receive your prescription. Because self-administered drugs are left up to you, there can be variation in how consistently you take your prescription—or whether you take it at all. For this reason, some conditions that need to be closely managed may have treatments that must be given by your health care provider. However, self-administration is usually more convenient, and is preferred for the majority of patients. Other health care practitioner-administered medications may have potentially dangerous side effects, may have dosages that need to be carefully monitored, or may require equipment or training that are only available from the office or clinic. One other important thing to note about health care practitioner-administered drugs—most injectable or infused medications that you receive at your doctor’s office or clinic will be covered under your medical benefit rather than your prescription benefit if you have insurance. So where do you get medications that can’t be self-administered? They’ll most commonly be given by doctors, physician assistants, nurses, or (depending on the medication) pharmacists. These drugs will usually be injected, intravenous, or, sometimes, oral. So what types of medications are commonly given by your health care provider? Osteoporosis IV (intravenous): specialty medications for osteoporosis. These drugs are given by intravenous infusion that must take place in a health care setting such as your doctor’s office or hospital. Intra-articular injections: specialty medications for arthritis. These drugs are given as an intra-articular injection, meaning they are injected directly into the joint space, either as a one-time injection or at weekly intervals depending on the medication. Intravitreal injections: specialty medications for the eye. These drugs are given by intravitreal injection, meaning they are injected into the jelly-like substance of the eye. Chemotherapy: usually intravenous, specialty medication used to treat various forms of cancer. These drugs can be given intravenously, meaning into the vein. Vaccinations: usually subcutaneous, intramuscular, or intradermal injections used to prevent disease or lessen the severity of a particular disease. Some vaccinations, especially for young children, are given at your doctor’s office. Depending on the law in your particular state though, pharmacists are able to administer nearly all vaccines for adults in a pharmacy setting. Pregnancy injections: usually specialty medications for injection or infusion in women. These drugs can be given for many reasons including to prevent pregnancy, pre-term labor, or autoimmune reactions. Most of these medications are given in a health care setting such as your doctor’s office or hospital. There are also a handful of drugs where your first dose must be given under supervision at your doctor’s office, but you can then fill a prescription to self-administer maintenance doses. For example, the first dose of orally dissolving allergenic extracts like Ragwitek, Oralair, and Grastek should be given in a health care setting because of the potential for allergic reactions—you’ll need to be monitored for thirty minutes after your first dose. If you tolerate the medication well though, future doses may be taken at home (children, however, should still have all doses given under adult supervision). This is not an all-inclusive list but it should help give you a good idea of the types of medications that may need your health care provider’s involvement. You seem like a smart, price-conscious, attractive consumer. Would you like to receive occasional prescription drug savings tips from GoodRx? To receive occasional money-saving emails, please provide your email below. GoodRx respects your privacy and will never sell your personal information. You’re on the fast track to prescription savings now! Keep an eye out for emails from GoodRx and see how much you can save. GoodRx is not sponsored by or affiliated with any of the pharmacies identified in its price comparisons. All trademarks, brands, logos and copyright images are property of their respective owners and rights holders and are used solely to represent the products of these rights holders. This information is for informational purposes only and is not meant to be a substitute for professional medical advice, diagnosis or treatment. GoodRx is not offering advice, recommending or endorsing any specific prescription drug, pharmacy or other information on the site. GoodRx provides no warranty for any of the pricing data or other information. Please seek medical advice before starting, changing or terminating any medical treatment. In all states except Tennessee, GoodRx is considered a marketer of prescription discount cards, and is not required to register as a discount card provider. 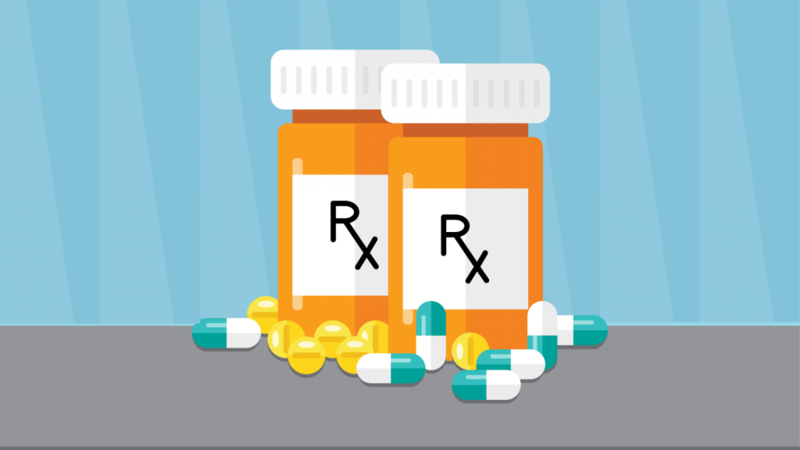 In Tennessee, GoodRx is registered as a Prescription Drug Discount Plan Operator.